← My memories of my grandfather are happy and enduring but will it be the same for my father? When you close your eyes in Lyme Regis, the sound you will hear above all others is the screech of seagulls as they fly overhead scanning the area for tasty morsels. But cast yourself back 367 years and it won’t be just the gulls’ cries you hear, there would likely be the screams of anguish and pain as the Royalist soldiers were put to rout by the determined townsfolk of Lyme. 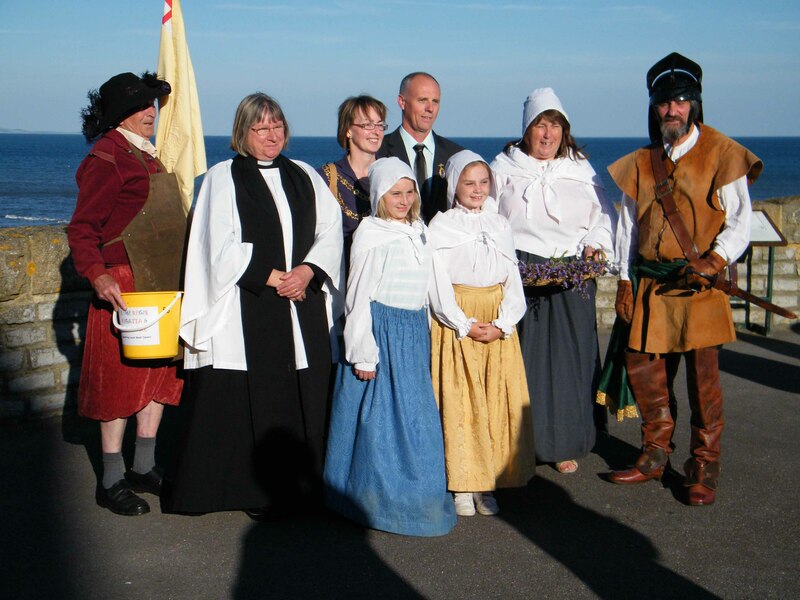 For the past few years, the Carnival and Regatta Committee have rejuvenated the celebration to mark the safe deliverance of Lyme Regis from the Royalist soldiers and their re-enactment is a respectable reminder of an enormously important part of England’s history that is sadly rather feebly recognised by most. On 16 June at around 7pm, stand near the wonderful Lyme Regis Museum and wait to hear the single drum beat. You will know something is about to happen because the road traffic is stopped and a lone Special Constable appears first to ensure there are no belated loyalist soldiers loitering with intent. A few people will be milling around in anticipation of something happening and it is those few minutes before the procession arrives that create an air of expectation, the feeling of dread, awe and apprehension that something possibly might happen, something a little sinister or scary perhaps. The seagulls screech above your head, children shout in excitement, the waves wash over The Cobb, all just as it would have been hundreds of years before. Then you hear it, the single drum beat, the beat that the soldiers would have marched solemnly to in readiness to do battle, although there were very few proper soldiers, the people fighting for Lyme Regis were mostly locals who were determined to support the Parliamentarians, to the death if need be. 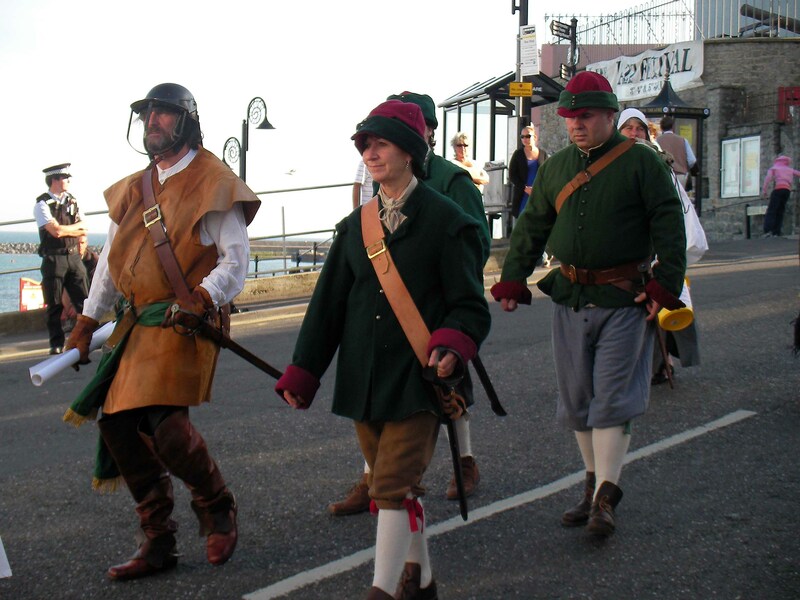 As the small band of Lyme folk approach you carrying pikes and pitch forks, all of them dressed as they would have been at the time of the Siege, you begin to imagine how impossible a task it must have seemed to the small number of people who lived in the town, how incredibly brave they must have been. The small troupe walk through the town gates and onto the square by the Marine Theatre where the leader gives a speech outlining the history of the battle and what the town achieved against the odds. There is a short prayer offered by the local vicar and one or two words said by town dignitaries. Given the incredible sacrifices made by the 17th century people of Lyme Regis and the mystery surrounding the remains of the Royalist soldiers who were entrenched (and thought to be buried) in nearby Colway Manor, it is an incredible part of our national history and thank goodness there is someone who wants to remember this amazing event. So if you can, go along and support this loyal local group as they celebrate in a small way a very great victory. 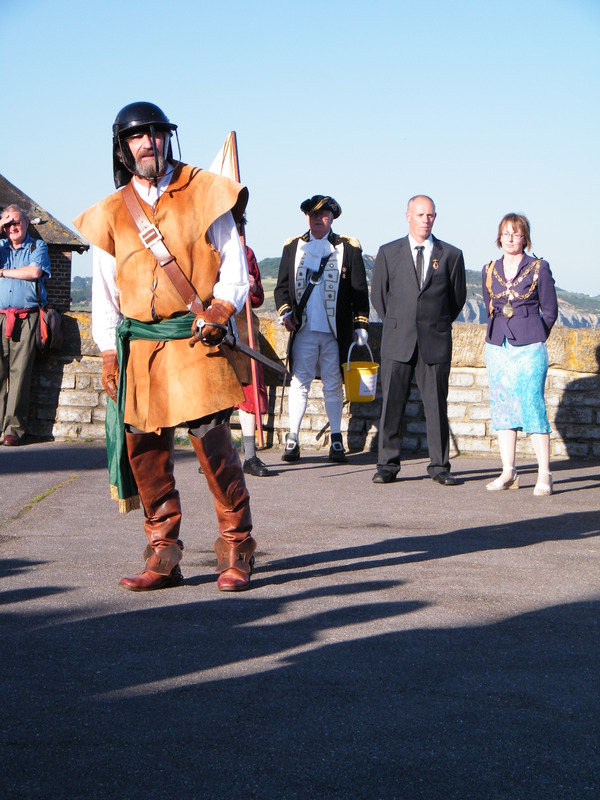 This entry was posted in Special events and tagged carnival committee, Colway Manor, English civil war, Lyme Regis, Lyme Regis Regatta, marine theatre, Parliamentarian, regatta, Royalist, siege. Bookmark the permalink.